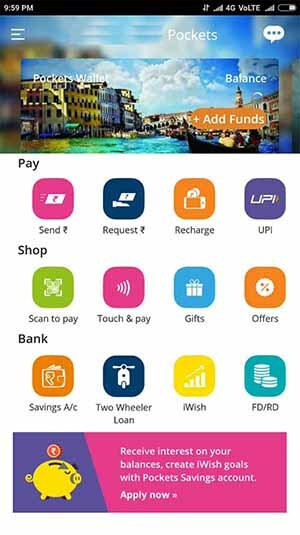 UPI stands for Unified Payments Interface with which we can transfer money without any bank account details. 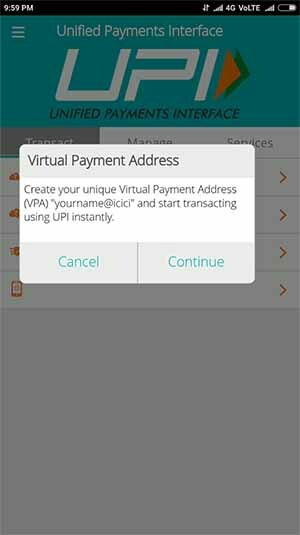 To transfer or collect money through UPI you will have to just provide Beneficiary Virtual Payment Address (VPA). So today in this article we will guide you how to create your Unique Virtual Payment Address and start transacting using UPI in Pockets Wallet. 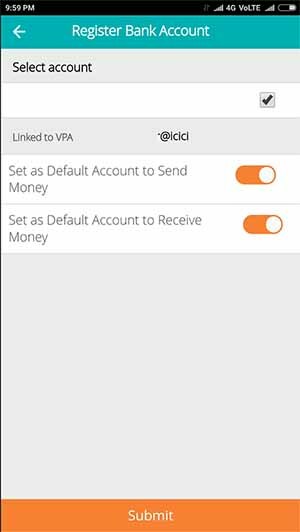 To Setup your Unique Virtual Payment Address (VPA) in Pockets UPI Wallet, just tap on Pockets App on your smartphone. Once the Pockets App opens it will ask you to enter your login MPIN (if you don’t have pockets account then you will have to create one account). Once you are logged in into your Pockets Wallet from home screen just tap on UPI. Next it will prompt you to create your unique virtual payment address (VPA), to proceed just tap on continue. On next page you will have to assign a new VPA (Virtual Payment Address), just create your VPA address like how you create email id according to availability. You can create VPA by entering your name or anything which you could like to set, Your VPA will look like “[email protected]”. 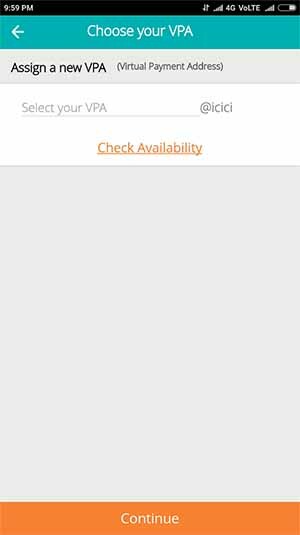 Once you are done assigning VPA by availability just tap on continue, next you will be asked to add your bank account. 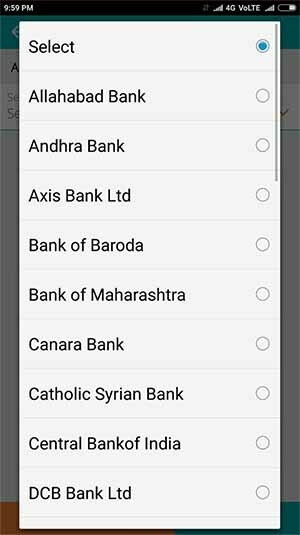 Just select your bank account from the list with which you have bank account and tap on next button. Next select the account number and you can customize few things like whether you want to set as default account to send money and send as default account to receive money. Once you are done setting these up just tap on submit button. Next you will be greeted with Congratulations you have successfully created your VPA for transacting with UPI on Pockets. And below it will also show you your VPA which you have set up. 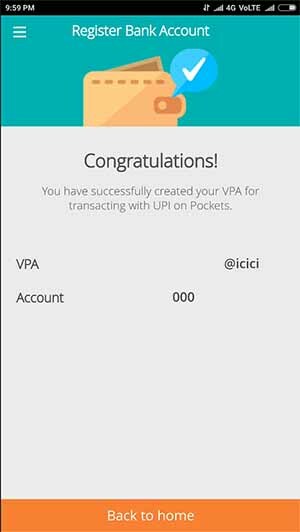 Now you are done setting up your Unique Virtual Payment Address in Pockets UPI Wallet, you can give anyone your Virtual Payment Address to collect or receive payment through UPI and the funds will get directly credited into your bank account which you have set as default bank to receive the funds received through UPI or related to your customization. Once you are done setting up your Virtual Payment Address to transfer money to other person you will have to ask that person his or her Virtual Payment Address. After that you can send funds using UPI in pockets by taping on Send Money option. Then enter the amount to be transferred and tap on next button. Suppose if you want to collect money from other person then you will have to enter their Virtual Payment Address by using UPI in Pockets under Collect Money Option. Then enter the amount you need to collect and tap on next button, the person or your friend will be notified by App or through SMS about the collect money request.